Life is fast, and the best moments are fleeting. and always shoot at light-speed — only with ZenFone 3 Laser. Next-generation PixelMaster 3.0 lifts ZenFone 3 Laser’s photography far above the smartphone norm. the PixelMaster 3.0 revolution is here. ZenFone 3 Laser’s rear camera has 2nd-generation laser auto-focus technology for instant clarity in just 0.03 seconds. The smartphone shoots a laser beam to measures distances at lightning speed. 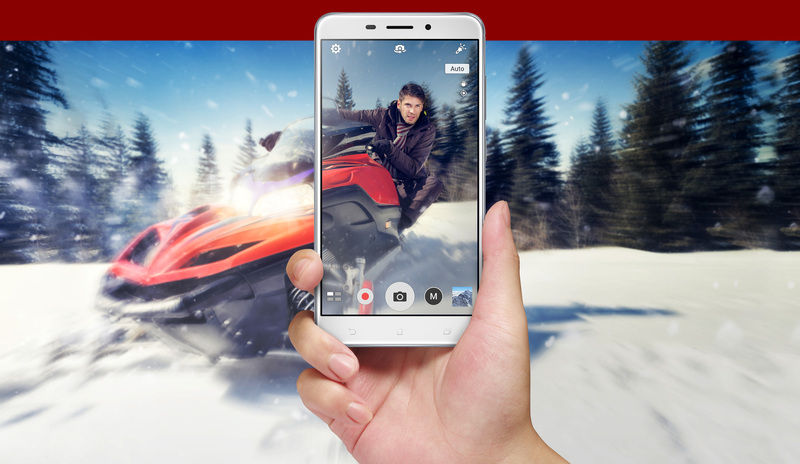 so every shot is sharp, clear and captured as quick as your finger can press! 0.03S laser AF, 3X distance, Low Light condition. And for videos, a ZenFone 3 Laser has a three-axis electronic image stabilizer (EIS) to keeps your handheld videos rock-steady. 3- axis EIS, 6 direction EIS compensation. Photos are captured as realistically as you view them, with deep trench isolation technology preventing photons of light from leaking from one pixel on the sensor to another, resulting in clearer details. The color correction sensor detects unusually-lit subjects and makes them look natural in your photo. These are complemented by 4x Super Resolution, which creates a single, extreme-detail photo; and real-time backlight (Super HDR) that shows the HDR effect as the photo is framed. Deep Trench Isolation technology, Color Correction sensor, 52MP Super Resolution, Real-time HDR. ZenFone 3 Laser makes you even better looking before your eyes. Just choose Beautification mode, and let ZenFone 3 Laser balance facial features, soften complexions and remove skin blemishes to create flawless photos — and all in real time! To hold ZenFone 3 Laser is to feel the luxury of true craftsmanship. ZenFone 3 Laser’s elements exude exclusivity, from its metallic body and premium aesthetics to the unique ergonomic design. And, for final touch of finesse, we use a hyperfine sand-blasting technique to polish ZenFone 3 Laser’s metal surface in every detail, and it’s yours to desire in two gorgeous colors — Glacier Silver and Sand Gold. ZenFone 3 Laser embodies the core values of industrial design, paring beautiful aesthetics with uncompromising build quality to create an exceptional user experience. ZenFone 3 Laser’s contoured (2.5D) glass touch screen is matched around the back by a gently curving rear cover that feels as natural to hold as your grip. ZenFone 3 Laser has a fabulous 5.5-inch display with 1920 x 1080 Full HD resolution to show every detail, and intense 500nits brightness for easy viewing even under the brightest light conditions. Indoors or out, everything you view is clear on ZenFone 3 Laser. 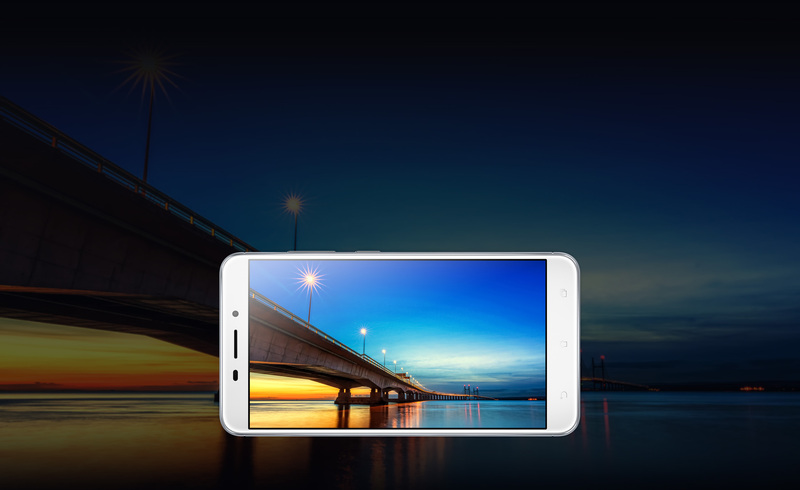 And with an ultra-slim 2.58mm bezel and remarkable 77% screen-to-body ratio, it’s more display and less bulk! ZenFone 3 Laser’s rear fingerprint is perfectly positioned for the way you hold your phone. 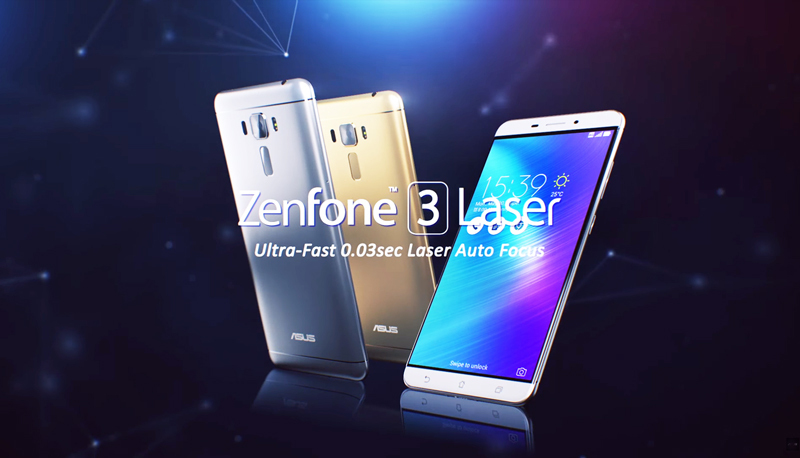 It unlocks ZenFone 3 Laser in a fraction of a second, and does so much more besides. it’s like a second shutter button, right where you need it. You’re even able to answer incoming calls with a double- tip tap, or launch favorite apps with specific fingerprints — and you can store up to five! 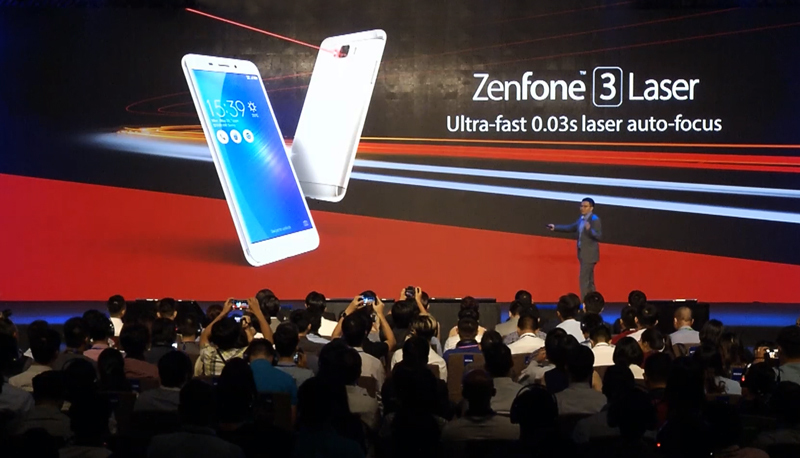 ZenFone 3 Laser features a powerful 64-bit processor – Qualcomm’s Snapdragon 430. With its superb performance and superior power-efficiency you’ll shoot sharp photographs at stupefying speed, record and edit FHD video with minimal battery draw. 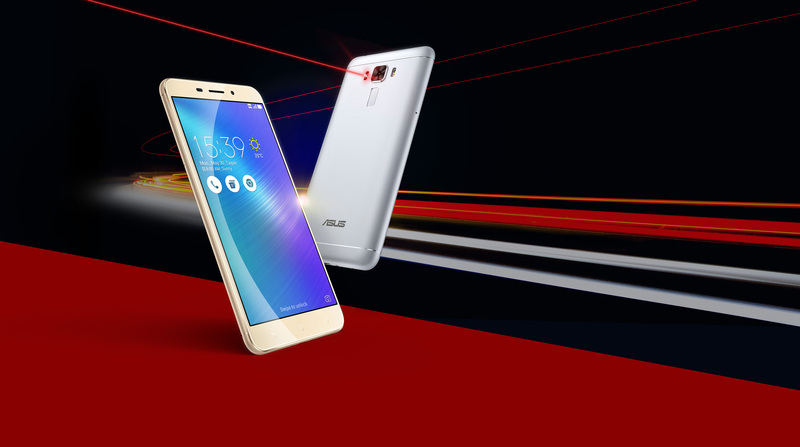 And with up to 4GB of fast memory built in, ZenFone 3 Laser runs every app without slowdown! With its great 3000mAh battery and advanced power-saving features, ZenFone 3 Laser keeps you entertained for longer, wherever you go. The superior long lasting battery experience gives you a remarkable 22 days of standby time! ZenFone 3 Laser’s five-magnet construction and metal voice coil deliver powerful, emotional sounds in every scenario – and at supreme quality levels. With the smart software ASUS AudioWizard that provides the best listening experience in different scenarios, including Movie mode, Gaming mode, Keynote mode, Music mode and Smart mode. Incredible hardware demands spectacular software — and that’s ZenUI 3.0. ZenFone’s sublime front end improves the standard interface in over 1,000 unique ways, and our latest edition includes brand-new ideas to brighten your outlook, improve productivity and make everyday life just that little bit more fun. See weather updates with real-time animations, or check the time with a stylish clock widget. Feel the depth of parallax scrolling as you swipe through your apps, and appreciate how the subtle frosting effect keeps your focus on the foreground. ZenUI 3.0 isn’t just an interface — it’s the best friend who accompanies you everywhere.